Taylor & Chris came prepared to their engagement session with all kinds of props and ideas! It was awesome! I tell my clients it's fine if you don't have any ideas but those that do usually get alot more of what they really love. 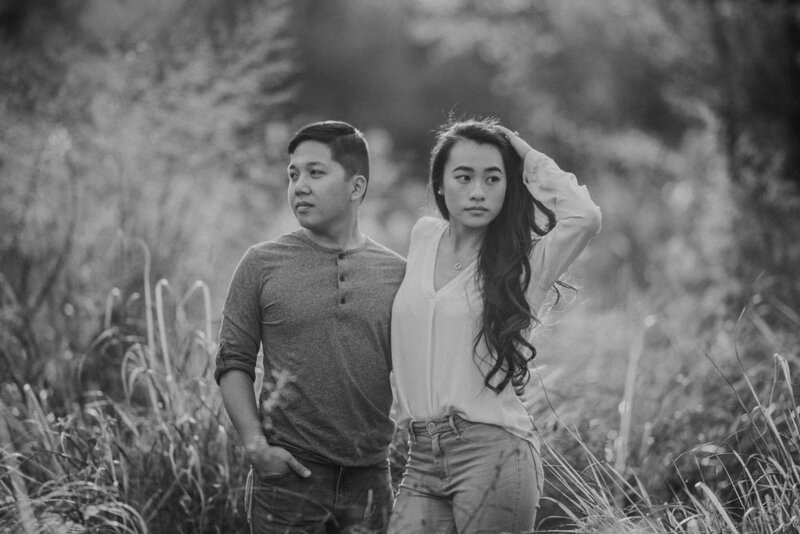 So I encourage you to put the extra effort in and make your engagement session unique! Do your homework! :) Turns out Taylor is soon to graduate as a registered nurse but Chris is an engineer by day/ superman by night. The asian superman! I like it! The picnic scene was cute but it got really romantic when we pulled out the string lights! 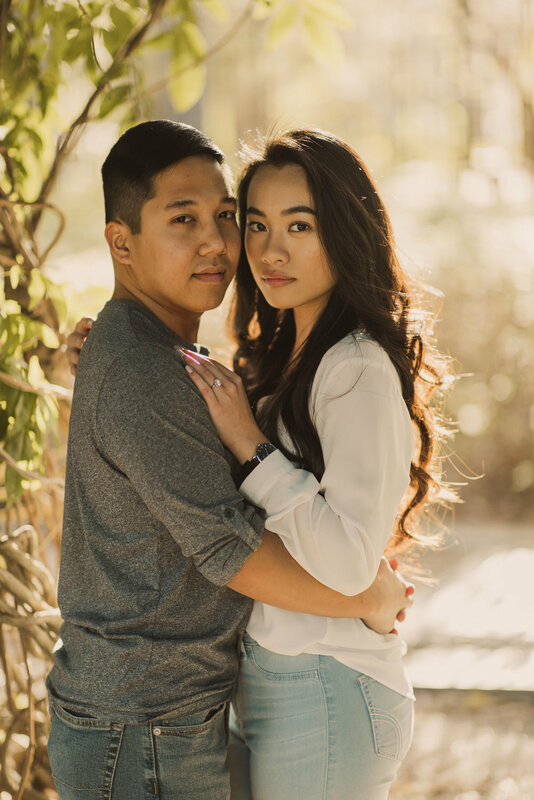 So dreamy and perfect for this December engagement session.